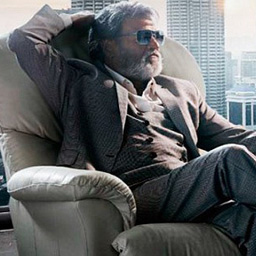 Rajinikanth was born on December 12 1950 in Karnataka, India. He was the fourth child to his parents Ramabai and Ramoji Rao Gaekwad. His original name was Shivaji Rao Gaekwad. He lost his mother at the age of five. He had his schooling at the Acharya Patasala in Bangalore and then at the Vivekananda Balak Sangh, a unit of the Ramakrishna Mission. His mother tongue is Marathi, though he has not done any movie in it. Before starting his career in the film industry, he had to take up all sorts of odd jobs. He served as a bus conductor for Karnataka state transport corporation in Bangalore. It was during this time that he nurtured his acting interests by performing in various stage plays.